The last tournament at Kimballs this year will be on Wednesday, December 19th at 7 PM. 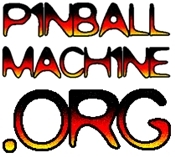 $5 entry, World Pinball Ranking Points awarded. I’ll think of a fun format (or suggest one!) and we’ll kick off the holiday season. There’s a small chance of conflicts and in that case, the tournament will move to Disco Volante in downtown Oakland.